New phones and tablets with Android 4.0, a.k.a. 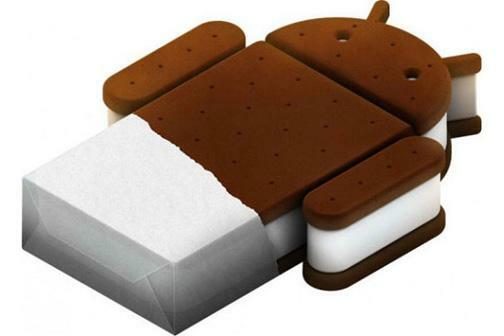 Ice Cream Sandwich, are just around the corner, and carriers are also announcing which current models will be upgradable, most likely in early 2012. Many of the new features and updates will be great for business users. Before updating, here's what you should be thinking about to make the transition to Ice Cream Sandwich safe and painless. The download of the update could be corrupted, resulting in a failed update. The update process could be interrupted by power, networking, or disk issues, leaving your device unusable. The update could contain bugs that make your device unusable, and could result in data loss or corruption. If any of these happen, you may need to wipe your device and start from scratch, which could result in the loss of business data, and delays in getting work done. While the odds of problems ruining your day are slim, you can take these steps to reduce the damage, make it easier to recover from, and perhaps prevent the problems in the first place. A good way to start is by taking a look at your current setup. We all find great non-business related apps that are soon forgotten after installing them. Go to Settings, Applications, Manage Applications, and removeanyoftheapps you aren't using or don't need. This will not only reduce the potential for incompatibility, but also free up more space for the update and the future apps you may want to add. If you don't allow your apps to update automatically, you should manually run the Android Market app and use the "My Apps" setting to check for updates, especially to mission-critical apps. Often apps are updated in response to reported bugs caused by a new version of an operating system. Having those updates installed first will help eliminate any potential problems down the road. Google's App Store will remember which apps you've purchased or installed for free, and will allow you to install them again (see My Library, Apps in the Android Market), but it doesn't keep an up-to-date list of the apps currently installed. For this, use an app like AppBrain, which works with an associated website to keep track of your app installing activity, and can save a list of your apps making it easier to restore them should the need arise. You should always have backups of any business data. Much of your data, like contacts, calendar entries, and email, is backed up to the cloud automatically. Other data, especially from third-party apps, may not be--and could be lost should your update go bad. Check your apps for options to sync to the cloud, or export to your SD card. Then, back up your SD card to your computer. When update day arrives, make your device as comfortable as possible. Be sure your battery is well charged, and keep the device plugged in during the update to avoid an interruption caused by lack of power. Enable Wi-Fi, and be connected to a network so that any attempts by the OS to "phone home", register, or otherwise finish the process are possible.